Download mode is used to install official and custom firmwares. It is also used to install custom (or official) CWM (clockworkmod) recoveries. 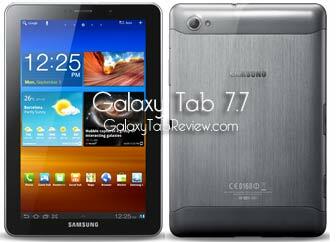 To get into download mode on your Samsung Galaxy Tab 7.7, shut down the device. After it shuts off completely simultaneously press the Down volume key+press the power button. You should see a warning asking you to press volume up if you want to continue or volume down to cancel, press volume up. You are now in download mode. Now, you are all set to flash a custom firmware / ROM using ODIN, a PC flashing app for pushing firmware to your Tab.